It's Pet Dental Health Month here at Severn Edge Vets. Did you know that brushing your dog's teeth is the very best way to avoid dental problems - and it needn't be a battle! 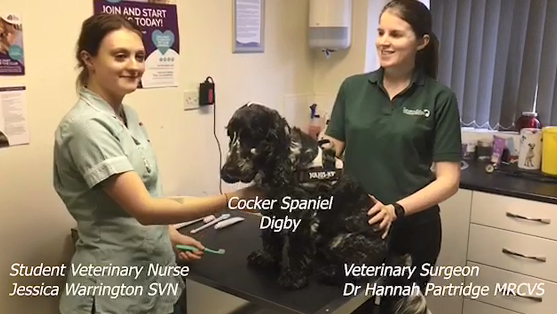 Here vet Hannah and student veterinary nurse Jess show you how it's done, with a little help from Digby the cocker spaniel. Dental clinics like this are free of charge with our nurses and we can give you practical help and tips on how to get started with dental care at home.